This bundle includes all of my writing prompts and stop sign checks for understanding questions for Gold Level Q. Every book in this level has a writing prompt and a check for understanding question for your small reading groups. Teacher instructions are included for each. 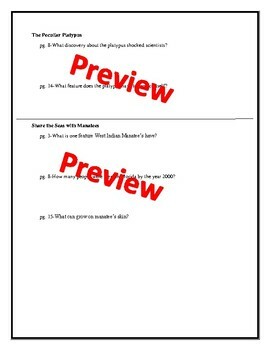 This bundle also includes BONUS editable formats for both the writing prompts and stop sign questions. 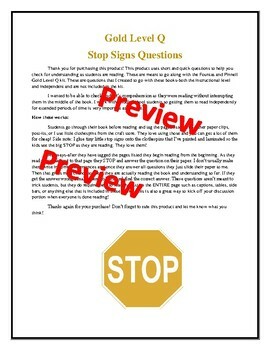 *The preview included is only for the stop sign questions but both documents are formatted similarly.